Trillium Health Partners (THP) is one of the largest community-based acute care facilities in Canada. Comprised of the Credit Valley Hospital, the Mississauga Hospital and the Queensway Health Centre, Trillium Health Partners serves the growing and diverse populations of Mississauga, West Toronto and surrounding communities and is a teaching hospital affiliated with the University of Toronto. If you are passionate about what you do, motivated to improve the health of the community, and committed to excellence, quality and patient safety we would like you to join our Better Together team! THP provides world-class cancer care and treatment across its three hospital sites – Mississauga Hospital, Queensway Health Centre, and Credit Valley Hospital, which houses the regional centre of cancer excellence, The Carlo Fidani Regional Cancer Centre. The integrated cancer program provides specialized inpatient and outpatient cancer care and support services including: Surgical Oncology Clinics, Radiation Oncology, Palliative Oncology, Systemic Treatment (Chemotherapy), and Psychosocial Oncology. There is also a Diagnostic Assessment Clinic for suspected Lung/Thoracic, Breast, Hepato-Pancreatic Biliary and Rectal cancers, and a Diagnostic Assessment Clinic for patients in the post-diagnosis stage of their prostate cancer. Reporting to the Clinical Manager, the ideal candidate will utilize their strong communication skills and patient and family centred care to establish therapeutic relationships and high quality of care. Working in a fast pace environment you will provide biotherapy, chemotherapy and supportive therapy to oncology patients. Your knowledge in oncology and palliative nursing and critical thinking skills are key to making decisions regarding the provision and management of patient care. How to Apply: Please forward your resume to thp-oncology@hrassociates.ca. If you have any questions about this posting, please contact our Recruitment Partner, HR Associates, at 416-237-1500 ext. 222 and ask for Sana Mahmood. You can also email us at thp@hrassociates.ca. 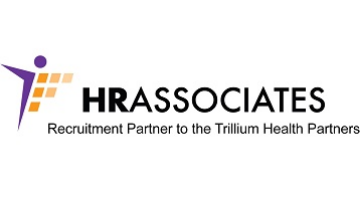 For more information, please visit trillium.hrassociates.ca.